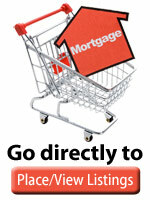 What rights does the second mortgage holder have with respect to a first mortgage holder? BB&T can show you exactly what goes into a home equity loan. It may be that the first mortgage holder will permit the second mortgage holder to continue making paying on the first mortgage after the second mortgage holder has foreclosed the second mortgage and taken title to the property. They may even permit the second mortgage holder to make the payments while the second mortgage holder is foreclosing the second mortgage. And most institutional lenders just want to get paid, not have another REO on their books. But they may not be required to do so. In Barnes V Resolution Trust Corporation 664 So 2nd 1171 (4th district 1995) the second mortgagee (lender) began making payments on the first mortgage after the second mortgagee had foreclosed on the second mortgage. Thereafter the first mortgagee sought to foreclose on the first mortgage. The second mortgagee argued that acceptance of installment payments by the first mortgagee from the second mortgagee estopped the first mortgagee from acceleration and foreclosure. The Court disagreed and stated that “by terms of the mortgage, the first mortgage holder had a contractual right to foreclose when mortgagors (borrowers) defaulted. The first mortgage holder was not obligated to second mortgagees as they were not parties to the first mortgage, nor did they ever assume the first mortgage and there was no evidence that the first mortgagee…induced second mortgagee to continue making payments to satisfy first mortgage. Also in Travers v Tilton 134 So 2d 807 (2nd DCA 1961), which suggests that to constitute estoppel, the mortgage holder must engage in conduct which intends, or reasonably calculates, to mislead to the detriment of the party asserting an estoppel. Compare this to the case below. In this case the property owner had a first and a second mortgage. They continued to make on the first mortgage but not on the second. The second mortgage lender foreclosed. The Gary H. Watts Realty Company bought the property in the foreclosure sale. The lenders under the first mortgage now sought to foreclose their mortgage on the grounds that this foreclosure sale triggered the “due on sale” clause of the first mortgage. The trial court and the North Carolina Court of Appeals held this was NOT the case and that the mortgage was NOT foreclosable. PRIOR HISTORY: [***1] Appeal by Petitioner, Columbus Mutual Life Insurance Company, from Saunders, Judge. Judgment entered 15 August 1983 in Superior Court, Mecklenburg County. COUNSEL: Manning, Fulton and Skinner, by Charles L. Fulton, and E. Fred McPhail, for Columbus Mutual Life Insurance Company, petitioner-appellant. Kenneth W. Parsons, for Gary H. Watts Realty Company, respondent-appellee. JUDGES: Sidney S. Eagles, Jr., Judge, wrote the opinion. Judges Gerald Arnold [***6] and Willis P. Whichard concur. [*148] [**519] This appeal raises an issue of first impression: Whether the foreclosure of a subordinate deed of trust activates the due on [*149] sale clause of the standard FNMA/FHLMC Uniform Instrument. We hold that it does not. Petitioner first assigns as error the trial court`s conclusion of law that petitioner elected to use the FNMA/FHLMC standard instrument as the original deed of trust and that petitioner thereby impliedly waived the acceleration provisions of paragraph 17. We find no error. Petitioner argues that there was no evidence before the trial court upon which it could conclude that petitioner elected to use the FNMA/FHLMC standard instrument as the original deed of trust. The only evidence presented at the trial de novo was contained in the stipulations which make no reference to the manner in which the language of the original deed of trust was agreed upon, nor to the manner in which the printed form used was selected. We note, however, that the trial court is always permitted to incorporate matters of such common knowledge that they are subject to “judicial notice.” See, generally, [***7] 1 Stansbury, North Carolina Evidence, Section 11 (Brandis Ed. 1982). It is common knowledge that institutional lenders customarily dictate the form and language of the loan documentation to be used. Further, even if the conclusion was error, the error was harmless and petitioner has shown no prejudice. Petitioner next assigns as error the trial court`s refusal to conclude that an event of default existed under the original deed of trust, and that petitioner was entitled to accelerate the payment due. We find no error. We agree that this assignment of error appears to present an issue of first impression in North Carolina: Whether the foreclosure of a subordinate deed of trust and the resulting conveyance to a party other than the original borrower amounts to a sale of “all or any part of the property or an interest therein … by Borrower without Lender`s prior written Consent” so as to constitute default under the senior deed of trust containing the FNMA/FHLMC due on sale clause. 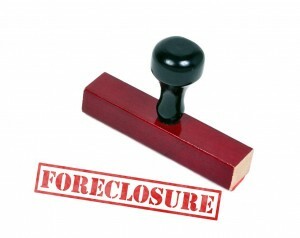 We hold that such a foreclosure is not a default under the FNMA/FHLMC due on sale clause. [*150] Our appellate courts have upheld due on sale clauses containing acceleration provisions. [***8] Crockett v. Savings & Loan Assoc., 289 N.C. 620, 224 S.E. 2d 580 (1976); In Re Foreclosure of Bonder, 306 N.C. 451, 293 S.E. 2d 798 (1982); and In Re Foreclosure of Taylor, 60 N.C. App. 134, 298 S.E. 2d 163 (1982). None of these cases address the narrow issue now before us. An examination of the due on sale clause in question shows on its face that the type of subordinate lien foreclosed on in the instant case is expressly permitted. We think that where a subordinate lien is expressly permitted, the lender should reasonably anticipate that the borrower could default and the second lien could be foreclosed upon. Where a subordinate lien is expressly allowed, the trial court was correct in concluding as a matter of law that the lender impliedly waived the acceleration provisions of paragraph 17 upon the later exercise of the power of sale contained in the subordinate, second deed of trust. Petitioner, as assignee of the lender, is bound by the express terms of the instruments. We hold that the conveyance of the real property in question pursuant to the power of sale in the second deed of trust does not constitute an event of default under the terms of the FNMA/FHLMC due on sale clause contained in the original deed of trust sought to be foreclosed herein and does not entitle the petitioner to [**520] accelerate payment of the outstanding balance. The order of the Superior Court is affirmed. Petitioner`s other assignments of error are without merit. Please note that these cases may not apply in your part of the country. The above is not intended to constitute legal advice. Please ensure you check your case with a qualified local professional.